Is FSU coach Willie Taggart a sore loser for hinting at VA Tech faking injuries to slow down his team? Joining a blue blood program like Florida State means that there will be plenty of expectations that follow you. Seminoles head coach Willie Taggart is finding that out on his own. After his team lost to Virginia Tech on Labor Day, many were already criticizing the new head coach. He was having none of it and even hinted at the fact that Virginia Tech may have been faking injuries to slow down his team’s fast pace offense. “I mean, it is what it is. It happened too often, so it’s hard not to. It happened too often,” said Taggart when asked about the possibility of the Hokies faking injuries. Nonetheless, that doesn’t change the fact that the Seminoles lost the game by three scores and that they also had five turnovers on the day. 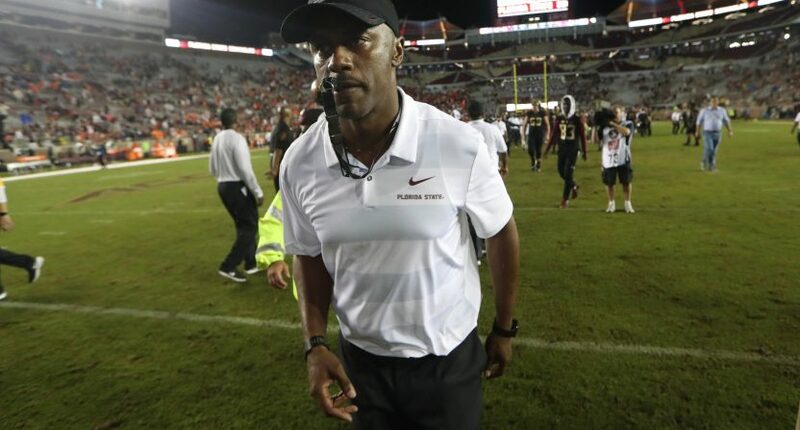 Taggart needs to realize that not all days will be his for the taking and in this most recent case he is bringing up a band-aid solution to a more massive problem. His team had trouble blocking, executing and just overall keeping up with their new offensive philosophy. It isn’t time to point fingers; it is time to go back to the drawing board and hopefully run the table. Taggart needs to set his sights on a bigger prize.